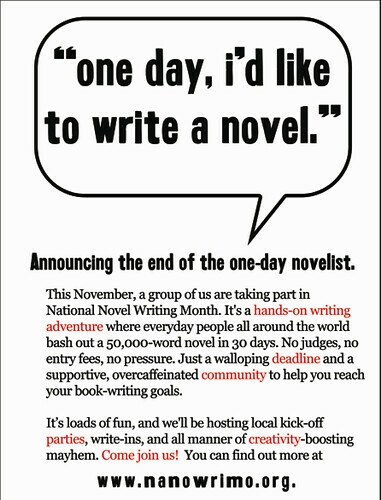 The National Novel Writing Month 2005 is nearly upon us (it starts midnight 1st November). I entered last year and failed miserably, I don't think I'll be entering this year, but I think it's such a great idea I'm going to promote it anyhow. If you don't fancy writing a novel, don't let that put you off donating some cash as they do have a good cause too. 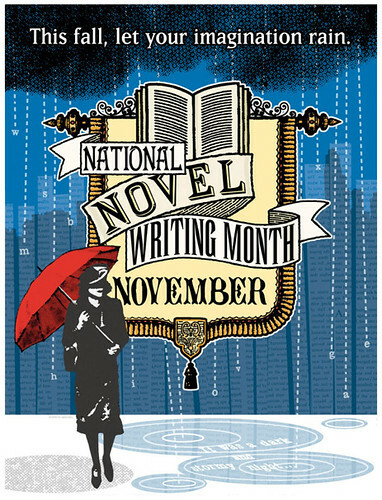 If you don't know what NaNoWriMo (as it's more commonly known) is about, see below.